Last year's spring pictures are ever more lovely as we still have several inches of snow on the ground. 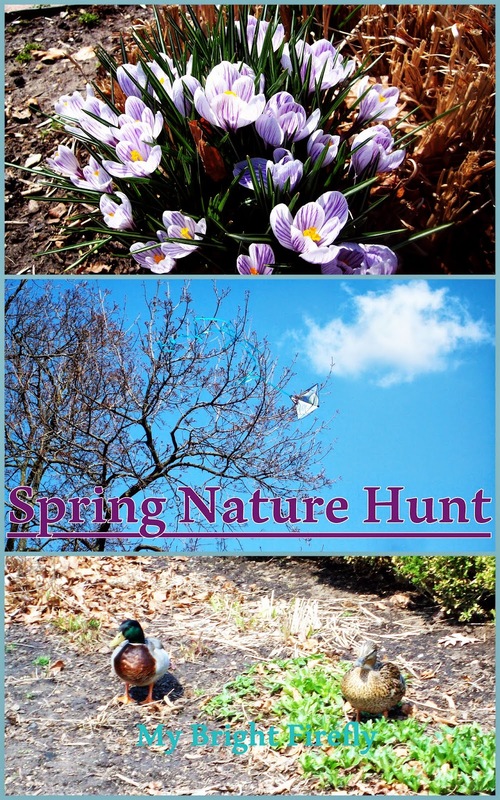 We took kids to the Nature Hunt at the park to discover the signs of spring and the new life coming to the park. Kids were using a DIY spring picture book with a word per page and letters for beginning sound and tracing. This book became My Firefly's first reading supply and a favorite toy for a year - positive experience with nature is indeed the best foundation for learning! You can also find a preschool game for sentence structure here: Building Sentences with Picture Words. We went for a walk in the park the day before and took the pictures. Connecting with nature is always a brilliant idea, but a lovely spring day is special and cheerful when you have a camera in your hands! I added a word per picture with the letter for the beginning sound of the word (see below). The pictures are printed on the regular paper and laminated. We punched holes and bound the pages with a ring. Each 2 year old was given a book with the task of finding the pictured object. As simple as it sounds, this was not an easy activity for our little ones! The big rock was the first given object. It took kids a minute to realize that the rock is the same while they were standing in front of it with the pictures in their hands. The little explorers got better and faster through their hunt. It took them no time to find the last exciting object - a train in the playground. 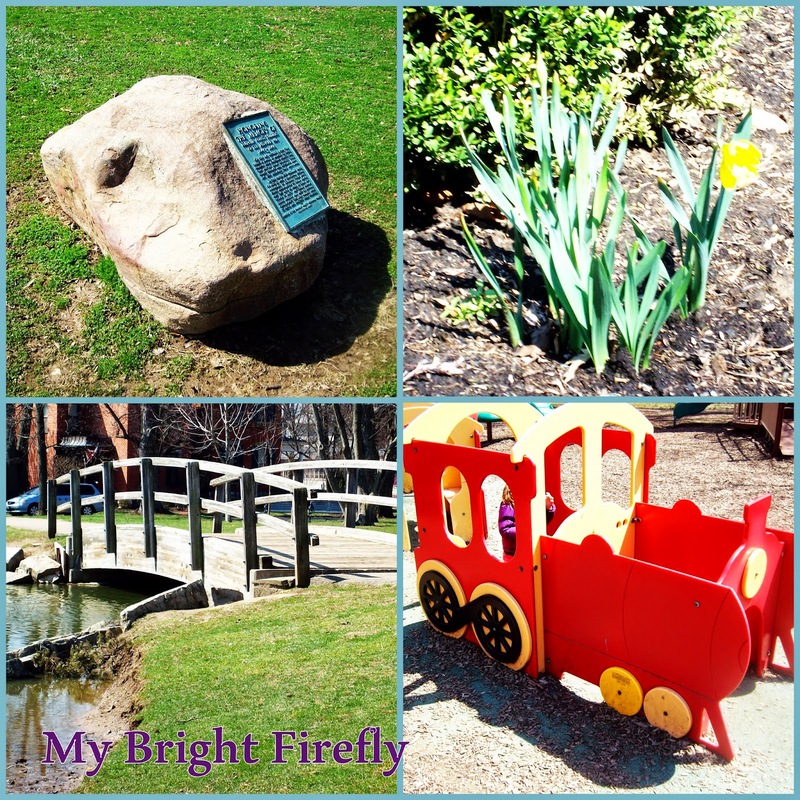 My Firefly's fun memories of exploring the spring nature and a lovely day at the park with friends stayed with her - happy and fresh - through the whole year. Who would expect? She loves playing with her book: making up stories, reading the letters and working on the beginning sounds of the words, tracing and coloring all by herself. She uses dry-erase markers on the laminated pages. It turned into the best quiet time activities for her! Also, take a look at these lovely toddler activities: Create a “SPRING IS…” Book With Your Child from One Time Through. This article is part of the "Outdoor Play Challenge" series, with over 30 wonderful outdoor play ideas coming every day in the month of March! 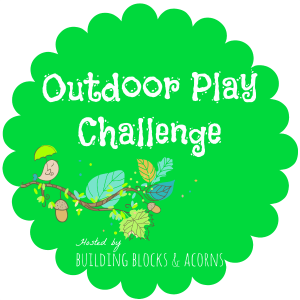 The calendar and the full list of activities are available here: Outdoor Play Challenge hosted by Building Blocks and Acorns. Happy Spring Hunting for your little ones!